Cycle Purpose: Develop lightning fast regenerative properties while maintaining beast-like strength and skill. Our goal is always to train for proficiency in three critical areas; Strength, Endurance, and Skill. The first half of the year marks the "off-season" for competition, and a chance for us to build a solid base of strength (Hulk Cycle) and skill (Batman Cycle). With the CrossFit Open now less than 6 months away and the competition season just beginning it is time for us to shift our focus to building Endurance (while still maintaining Strength and Skill). 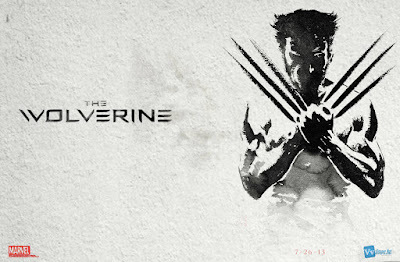 Last year we had the Flash to help us in this endeavor, but this year we have a new superhero to follow; THE WOLVERINE. Wolverine is famous for his superhuman strength and advanced combat technique, but he is best known for the incredible regenerative properties which allow him to heal from (what would normally be) mortal wounds in just a matter of seconds. This regenerative power is also what allows Wolverine to maintain incredible intensity during battle, the same type of intensity we want to bring to our WODs! 1. Push the intensity as high and as hard as possible! Treat every WOD as though it were the Open. 2. Hang on longer! To the barbell, to the rig, to your pace; rest is the enemy. 3. Believe in yourself and your abilities. Practice positive self-talk daily; it’s a skill which must be developed like anything else. 4. Get your diet and recovery in check NOW. These habits take months to develop and now is the time. CrossFit! This cycle will contain a great blend of "classic" CrossFit programming; couplets/triplets, chippers, AMRAPs, EMOMs, the occasional benchmark/hero wod, and even a few "heavy" days. You will notice a decrease in the amount of lifting/gymnastics progressions as these movements appear more frequently in WODs, but don’t worry; we’ll continue to build on our skills/strength throughout the year. In short, expect a lot of variety, and a lot of fun! Lifting: There will be a notable decrease in both power/Olympic lifting, however, there will still be at least one strength (barbell) movement per day. The purpose of lifting in this cycle is to maintain strength at a muscular and neurological level. Focus on consistently hitting near-maximal lifts. You should NOT be missing lifts in an attempt to PR as it will derail the progress made in previous cycles. Gymnastics: Progressions will shift away from strict and begin to focus more on dynamic movements. The goal of these progressions is to develop your ability to perform high-repetition sets with limited recovery. Technical proficiency should be the focus rather than just "muscling" out big sets. Metcons: Treat every WOD like the Open. Come up with a gameplan and attack the workouts relentlessly. Learn from your mistakes and identify your weaknesses. Put in the intensity now so you don’t have to think about it when the Open begins. Beast Work: Beast work is additional conditioning components meant to turn you from animal to outright beast. Attack these WODs with the highest intensity possible, and focus on your mindset before, during, and after. These WODs are designed to be tough, and you should generally walk away feeling humbled. Practice positive self-talk throughout, and use beast work to develop your mental strength as much as your physical capacity! *5 deadlifts anytime you break on thrusters. 5 push ups anytime you break on pull ups. Post time. *5 SDHP anytime you break on thrusters. 5 HSPU anytime you break on pull ups. Post time. *Score is total calories after both tabatas. Record individual tabata scores in comments.